This is Saffron, a Red Kite that lives at the National Botanic Garden of Wales and is part of The British Bird of Prey Centre team. 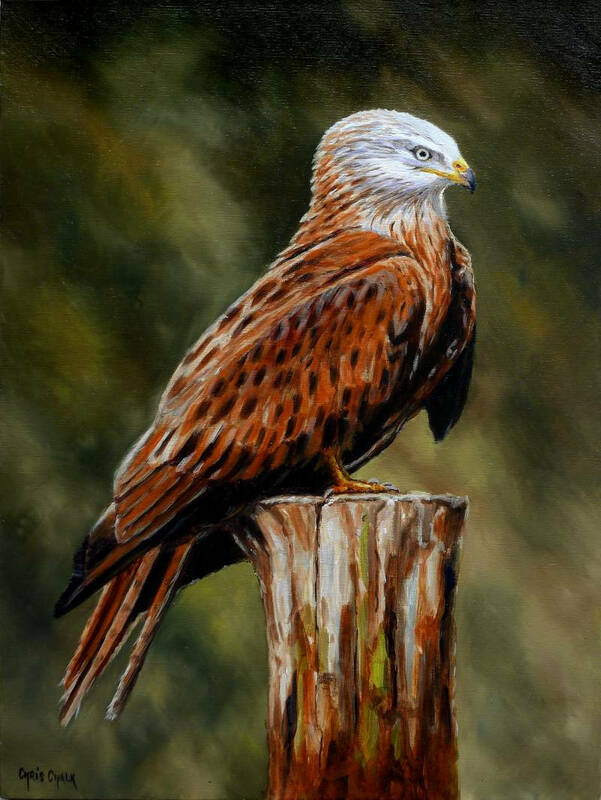 She's a beautiful bird and I was privileged to be able to get close to her and take lots of reference photographs for this painting. Painted on Loxley Gold stretched box canvas, 24 inch x 18 inch x 1.5 inch.